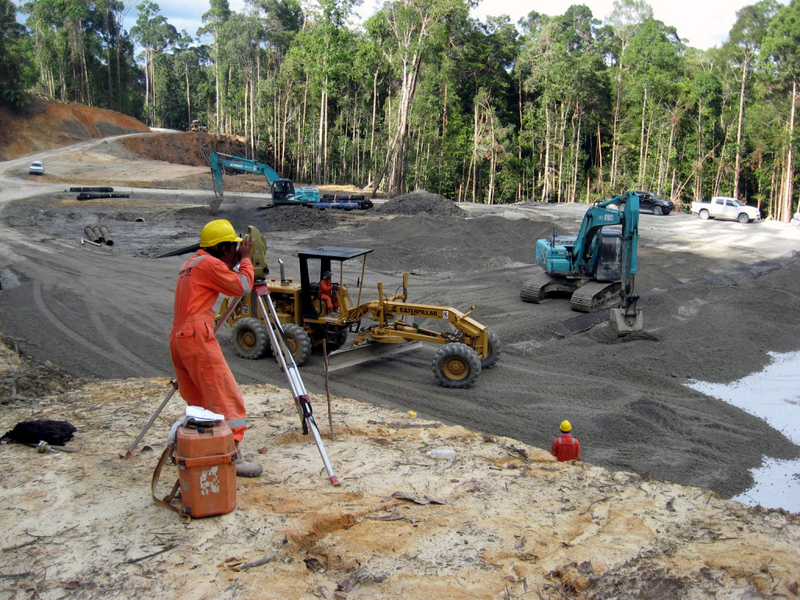 Our experience includes having provided full survey + CAD team services (up to 8 survey teams, 3 CAD technicians and field coordinator) during construction of geothermal power projects at Patuha and Wayang Windu in W. Java and Bedigul in Bali and major contractors such as Theiss and Sumitomo as well as for coal mining operations at Danau Mas Hitam in W. Sumatra. Our latest “state-of-the-art” TCRA total stations and our Laser Scanner use reflectorless technology up to 300 m range to + / - few millimetres for survey measurements in difficult access or remote areas. Construction and normal traffic can proceed without hindering our surveyors because the equipment can be set up outside the area and use reflectorless laser technology to obtain survey data remotely without having to enter the area being surveyed. All our surveyors are familiar with the survey needs of large or small construction projects. On large projects & when needed we can set up a site office with surveyors, GPS & total stations, computers + plotters, CAD technicians to work as a “survey unit” directly within the construction team. This hands on approach and flexibility to partner as part of the construction team results in project construction proceeding quickly and smoothly with our surveyors contributing towards successful project completion on time & within budget. We are able to input plans & sections into our computers and load these into our survey equipment for ease of setting out and checking dimensions. 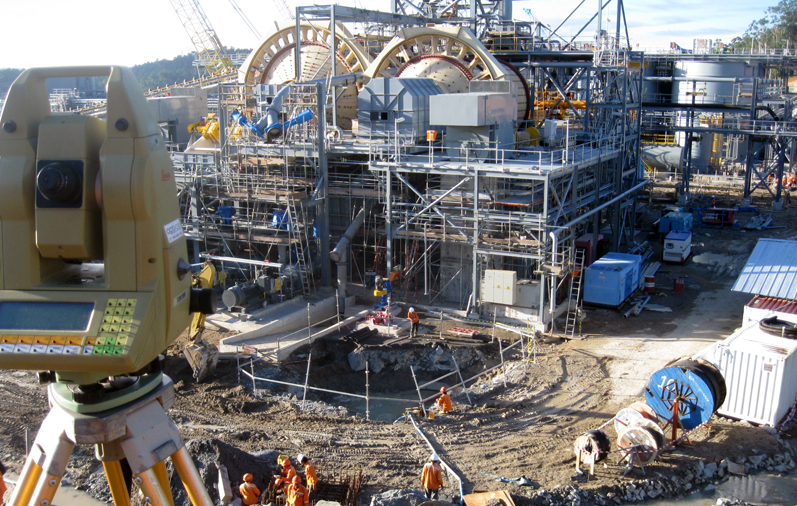 Geoindo can field team coordinators, up to 15 survey teams supported by 5 CAD technicians together with all hardware & software. Let our survey teams give you the edge in construction…..
We pride ourselves on being professional, fast & accurate thereby often providing the output of 10's of survey teams with only a few of our survey teams. This has made us popular with many of our clients in that they feel secure knowing that Geoindo surveyors have been involved.